Previous image, 79 total items. Next image, 79 total items. A visit to this tropical paradise quickly reveals why it was recently named the best island in the world. While you may be in the middle of the Philippines, and less than an hour from Manila’s 12 million residents, a few hours on this tropical island will leave you feeling like you’re in the middle of nowhere. Boracay is a small island with a permanent population of just 12,000. Its six square miles (10 square kilometers) are home to countless pristine beaches, a lively nightlife and some of the best watersports in South East Asia. In 2012 Boracay was named the best island in the world by a popular travel magazine. Most of Boracay’s 1,000,000 annual visitors come to the island for the dry season between November and April. This is the ideal time for swimming and watersports, as the beaches remain calm. The months between May and October are therefore much quieter and more affordable, as many hotels and tour operators have seasonal prices. Visitors are advised to check weather warnings, as typhoons are a possibility in the region. 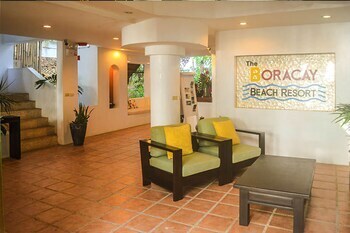 Boracay’s main attractions are its beaches. 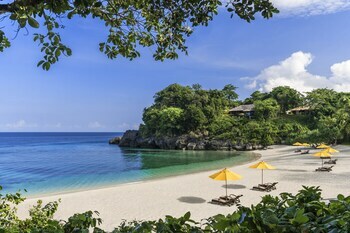 The most famous of these, the three-mile (four-kilometer) long White Beach, lives up to its name. The popular public beach is lined by tall palms, providing some much-needed shade during the peak of summer, and is ideal for swimming. Families will love the safe shallow water, while the more adventurous will find excellent kite surfing, wind surfing and scuba dive operators along the foreshore. 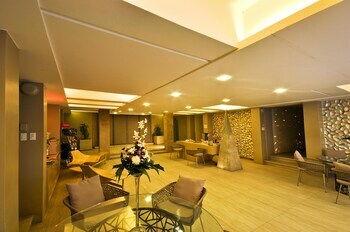 Behind the beach is the main commercial region of the island, D-Mall, where you will find great shopping and eateries. Those seeking a more secluded beach experience will love Puka Beach, home to the rare Puka shell, while those seeking some excitement will enjoy the cliff jumping at Ariel’s Point. Get between Boracay’s many inlets, coves and beaches on board a motorized tricycle, the island’s answer to taxis. Scooters and bicycles can also be hired for those wanting to explore the island on their own time. 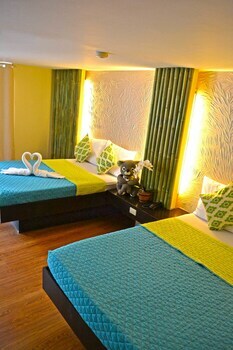 Visitors can reach Boracay via Manila, with regular flights to the nearby Caticlan and Kalibo airports. From here a number of shuttles and taxis run to the ferry terminal, where you’ll be whisked away to paradise. Stroll along this stretch of beach to enjoy the peaceful atmosphere and comb the sand for famous Puka shells that are used to make jewelry. 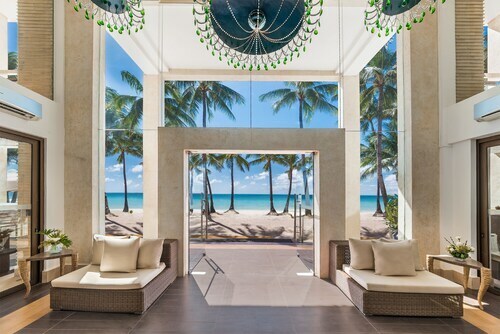 Watersports, scuba diving and dining on the sand are some of the treats in store for visitors to this private beach. Gaze up at the holy statue that appears to lead this battleship-like rock formation rising above White Beach’s shallow water. Choose from a great range of fresh raw seafood and take your purchase to the cooking stalls for a delicious meal in this thriving market. Enjoy the seclusion and privacy offered by this charming beach lined by forests and cliffs. 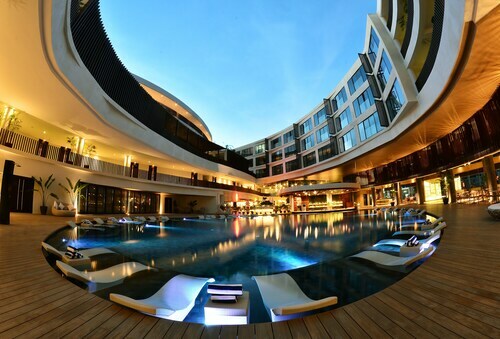 Go snorkeling in its clear water. Browse the eclectic range of items displayed in the quaint wooden market stalls and visit a charming park and a climbing arena. Sink into crystalline water while basking in the scenic beauty at one of the more serene beaches on Boracay island. 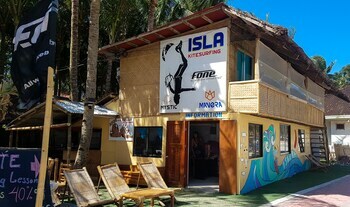 Try your hand at thrilling watersports at this curving, palm-fringed beach set on the east coast of the island of Boracay. Boracay’s longest beach is a vibrant tourist center home to gorgeous white sand, clear water, hotels, nightlife and watersports centers. 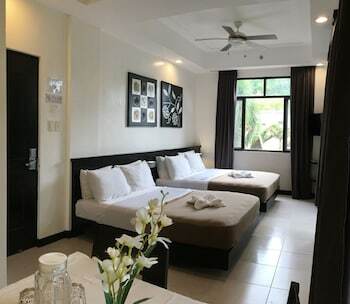 Located in Boracay Island, this beachfront resort is connected to the convention center and within 1 mi (2 km) of Talipapa Market, D'Mall Boracay, and White Beach. Caticlan Jetty Port is 3 mi (4.9 km) away. 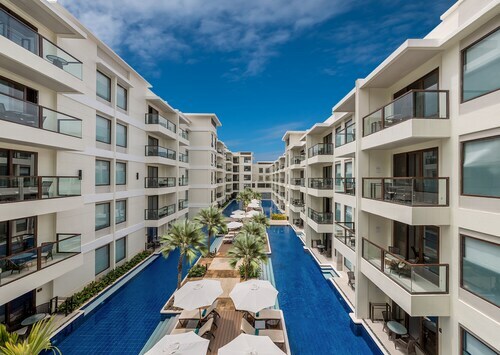 Located in Boracay Island, this beachfront resort is in the entertainment district and within 1 mi (2 km) of CityMall Boracay, Balinghai Beach, and Willy's Rock. Holy Rosary Church and Mt. Luho are also within 2 mi (3 km). Overlooking the white-sand beach from the hillside of an eco-reserve, Shangri-La's Boracay Resort and Spa is located 1 km (0.62 miles) from Balinhai Beach, 1.5 km (0.9 miles) from Puka Beach, and 3 km (1.86 miles) from White Beach. 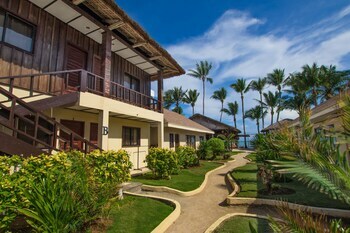 Nestled on the beach, this Boracay Island resort is within 1 mi (2 km) of Holy Rosary Church, D'Mall Boracay, and White Beach. Puka Beach is 2.3 mi (3.8 km) away. 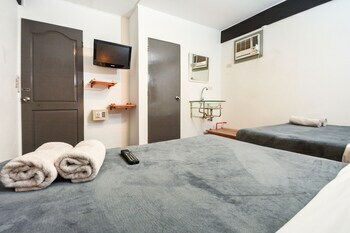 Situated near the beach, this resort is within a 10-minute walk of Budget Mart, D'Mall Boracay, and White Beach. 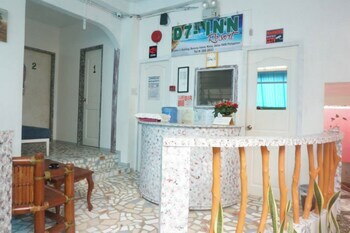 Department of Tourism Boracay Field Office and Bulabog Beach are also within 10 minutes. 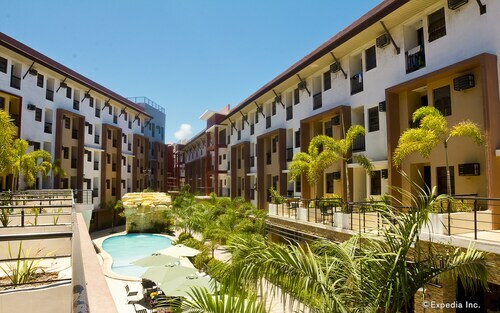 Nestled on the beach, this Boracay Island resort is just steps from Holy Rosary Church and White Beach. D'Mall Boracay and Puka Beach are also within 3 mi (5 km).